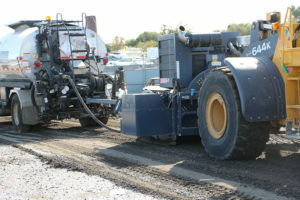 Earthbind® products are environmentally-friendly, bio-based modified asphalt emulsions and are designed to control fugitive dust on unpaved surfaces (Earthbind 100), stabilize road materials (Earthbind Stabilizer), and to recycle reclaimed asphalt pavement/alternative paving (Earthbind EBS-RA). Earthbind products are engineered and manufactured by EnviRoad, LLC in Portland, Oregon. Our newest product – Earthbind Rejuvenating Asphalt (EBS-RA), is specially formulated for alternative paving using recycled reclaimed asphalt pavement (RAP) and spec/off-spec dense- graded aggregates. EBS-RA was in 2010 to meet the needs for a cost-effective, environmentally- safe substitute for asphalt cutbacks. Asphalt cutbacks can be used to treat dense-graded/open-graded aggregate mixes, and for cold-in-place recycling asphalt pavement. These cutbacks typically were formulated with 15% to 20% “cutter” (cut stock). The high amount of cutter is important for treating dense-mix aggregates since the cutter allows the asphalt to disperse and coat the fine particles in the mixture. Dense-graded mixtures contain aggregate with a good representation of all particles sizes that include fine material and filler. When compacted, a dense-graded mixture has low air voids and is essentially impermeable to water. In contrast, open-graded mixtures contain aggregates that range from large to small, usually containing little or no mineral filler. The void spaces in the compacted open-graded aggregate are relatively large, containing high voids and are permeable to water. The down side to using asphalt cutbacks is the high amount of cutter used in their formulations. The cutters used vary on the type of cutback and the list includes naphtha, gasoline, kerosene, jet fuel, diesel oil, or fuel oil. Most of the cutter’s used in asphalt cutback were eventually deemed to be harmful for the environment and therefore their use has declined across the United States over the last few years. Three types of cutbacks are named based on their rate of curing. Medium Curing, CMS-2 and CMS-2s. Medium Curing asphalt cutbacks (MC) contain a less volatile substances such as kerosene or jet fuel. Upon exposure to the atmosphere, the cutter evaporate, leaving the asphalt remaining to perform the cementing and waterproofing. Because of this, alternative asphalt emulsions such as CMS-2 and CMS-2s was then substituted for asphalt cutbacks. However, since CMS-2 and CMS-2s has a reduced cutter content in the 8 to 12% range, they are used for open-graded mixes and not used in dense-graded mix. EBS-RA was developed as a cost-effective and environmentally-safe alternative for alternative paving and cold recycling or asphalt pavement. Using EBS-RA for this purpose is considered to be an emerging technology. EBS-RA is formulated with proprietary, non-ionic ingredients that work very well with the fine and filler content normally required for dense-aggregate. EBS-RA out performs traditional asphalt emulsions, such as SS-1 and CSS-1, that do not work well with fines and dust particles which interfere with dispersion and binding. Not only can EBS-RA be used on dense-aggregates, and if the traffic is not too high, you do not need to chip seal the road, only fog seal. In addition, EBS-RA can save money when compared to hot-mix asphalt paving. 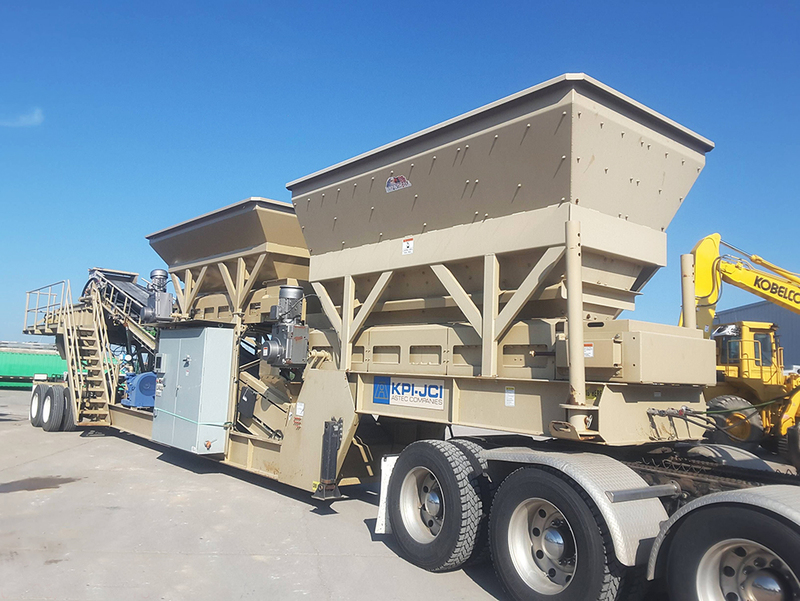 Since a portable pug mill is normally used for Earthbind Alternative Paving, cost savings is realized the greatest in rural settings where hot-mix asphalt plants are rare or absent. Here, trucking in hot-mix asphalt from long distances is very costly and time consuming. In Northwest Oregon, the “in-place” cost of alternative paving and recycling reclaimed asphalt pavement (RAP) was $28/ton. In comparison, the cost of hot-mix was $50-$55/ton FOB at the plant. 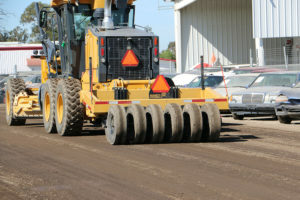 Cost savings is contingent upon the current asphalt costs. The higher the asphalt costs, the greater the savings when compared to hot-mix asphalt. Earthbind EBS-RA is an emerging technology and is currently in use in Gilliam and Columbia County, Oregon. 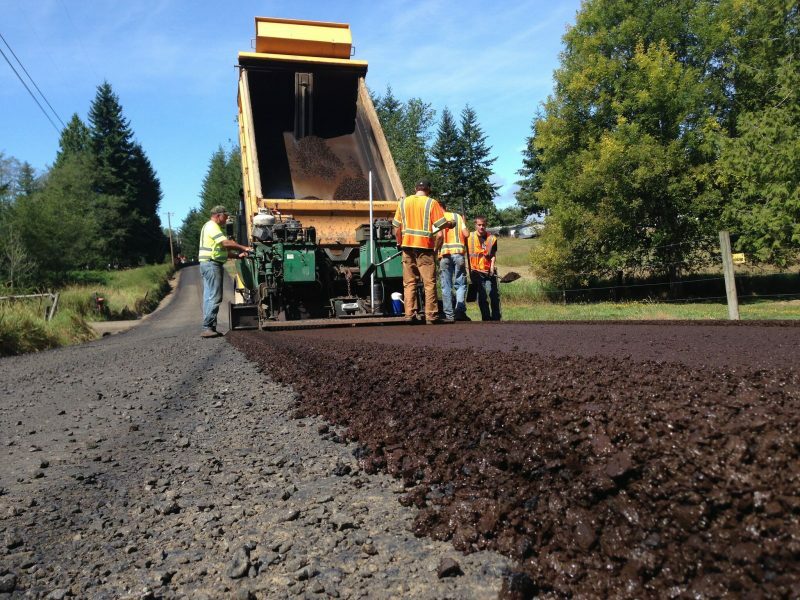 To date, EnviRoad, LLC has sold over 700 tons in Oregon for alternative paving. Dust Control: How is Earthbind® Different from Competitors?